The Wacky Bouncer is fit for any child young or old! 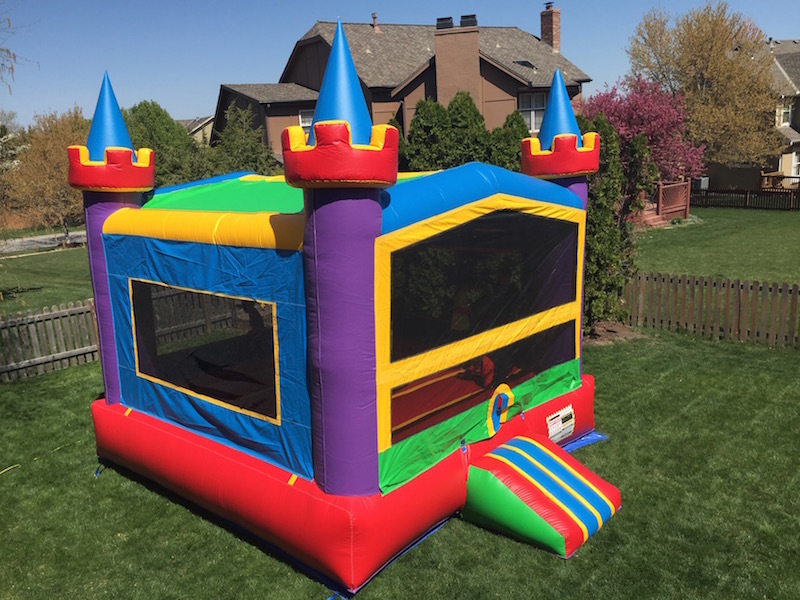 Description: The Wacky Bouncer is great for any kind of party. 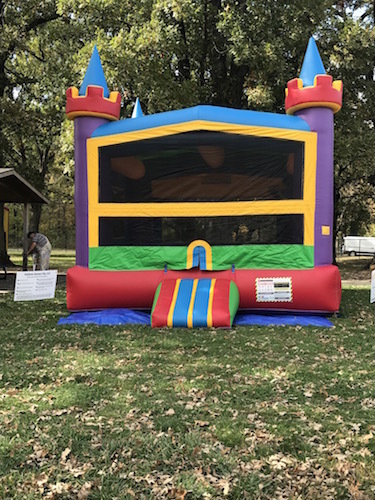 This is a NEW addition to the KidZone Kansas City bounce house choices. 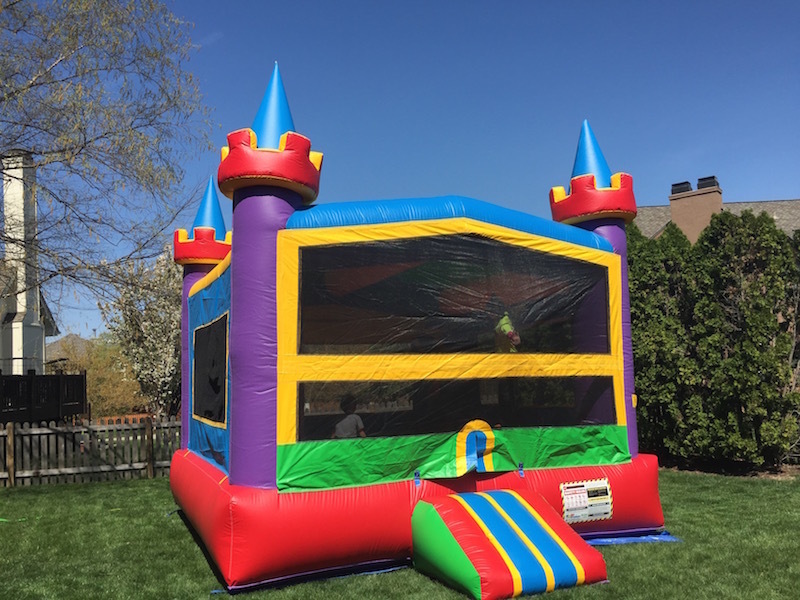 This is your classic bounce house but with extra large viewing areas of the bouncing fun to satisfy kids and the adults watching the bouncing fun. 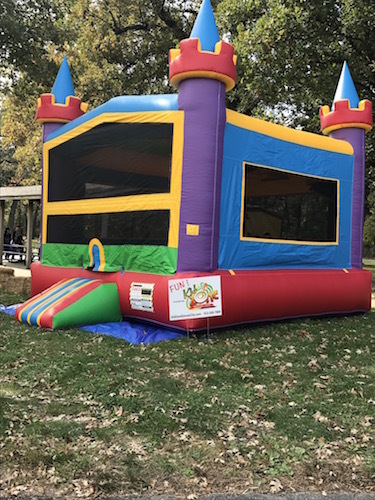 If you are looking for lots of color and a large bouncing section, then the Wacky Bouncer is a great choice. Requirements: Inflatable requires a relatively flat surface about 18ft x 18ft within 100 feet of an electrical outlet. We prefer to set the inflatables up on grass, but concrete or asphalt is acceptable as well. Sticks and rocks must be cleared from the area before we arrive. The inflatable may be set up indoors if you have an auditorium or gymnasium available at a nearby church or school. Delivery fee, sand bag surcharge and sales tax may apply.